Wardrobes are a must have for every home. It the most useful thing to in-home from clothes and accessories to home linen, books, and files, wardrobes or cupboard designs in Hyderabad houses are essentials in Present days. But is Ideas are not easy to make. Our Wardrobe designs in Hyderabad Interiors architects have 100+ unique Ideas with Implementation in your Home.We are the best Wardrobes Interior Designers in Hyderabad. We have 8 Years of Experience Carpainters workers. Complete the work in schedule time with Reasonable Services. My vision Interiors knowns every issue at the implementation time. So we are made beautiful Cupboard designs in your Home. That is Bedrooms Cupboards and Kitchens and wall cupboard we are Specialists. We have done 120 projects in the Hyderabad city. And we have importance and take the Customers Ideas to Create there Own Custom Wardrobe Designs. For the customers’ designs, we have Evaluating the space to know what type of wardrobe designs customers want, whether the wardrobe designs in hyderabad is fitted the room or wall and bedrooms and Dressing Tables and hall cupboard designs in Hyderabad. Individual and made to measure built-in wardrobes enable complete utilization of the space in your home or business premises. They are convenient for the use in your rooms, shops, offices wherever the space utilization and attractive design are particularly important. Wardrobe Designs adds a sheen and glamour to your house along with cupboard designs in hyderabad space management. It includes hall cupboard designs, Shelves, drawers,pull-out shelves to equip your built-in wardrobe according to your wishes and requirements. 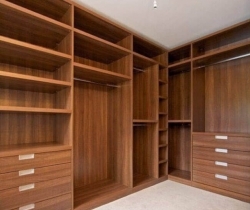 Wardrobe designs in Hyderabad framing system are the ideal storage solution. Kitchen wardrobes are the built-in furniture installed in many kitchens cupboard designs in hyderabad for storage of food, cooking equipment, and often silverware and dishes for table service. Appliances such as refrigerators, dishwashers, and ovens are often integrated into kitchen wardrobes. Once Customer has determined and final the type of wardrobe Designs. We will take the measurements of Hall Cupboard Designs In Hyderabad the rooms. We have clearly Mention Everything on Paper simply draw a basic sketch with the measurements and Blueprint of your wardrobe designs. Our Best Architects and Interior Designers In Hyderabad Interior Architects will explain hundreds of wardrobes Designs and Style colors and Styles that you can choose from Best Wardrobes in Hyderabad for your custom designs. The Final Step Budget, we cupboard designs in hyderabad implement the Designs as per the Customers Budget. Responsible service to the customers and 100% Transparent prices in wardrobe manufacturers. After the complete the project also My Vision interiors response for the wardrobe designs in hyderabad work.